The follow-up to 2010’s “Black Swans And Wormhole Wizards” comes after Satriani’s involvement with Chickenfoot and the G3 tour in 2012. "Now that the asteroid has safely passed us by I feel it's time to break my cyberspace-silence and let you all know what I've been up to these last few months. After returning home from the last of three incredible G3 tours, I got down to writing music for a new solo record. A very prolific and cathartic two months followed resulting in a bundle of new music I was very excited to get recorded. With 16 of the songs selected for the project, all heading in different directions and touching on a variety of musical influences, I realized I needed to assemble a new studio band. The idea was to crank up the energy level of the sessions, and allow for more individual expression of the material, from each player. I pulled into Skywalker Sound with Mike Keneally on keyboards, Chris Chaney on bass and Vinnie Colaiuta on drums. The chemistry between these awesome players was fantastic, and we blazed through all the tracks with everyone laying down amazing performances. On Valentine's Day I finally finished all the overdubs, reviewed the tracks with engineer/producer Mike Fraser and started loading out of the studio, elated! Now it's on to Vancouver, BC, to mix. The new record will be called Unstoppable Momentum and should see a release date of May 7th. I'm not sure how many songs will make it to the final sequence as I still have a lot of work ahead of me in that department. As you can see from the tour page [on my web site] we are gearing up to bring the new music on tour starting in mid-May and continuing through 2013. My touring band will consist of Mike Keneally on keys and guitar, Bryan Beller on bass, and Marco Minnemann on drums. I'm so excited about tearing it up on stage with this new band! 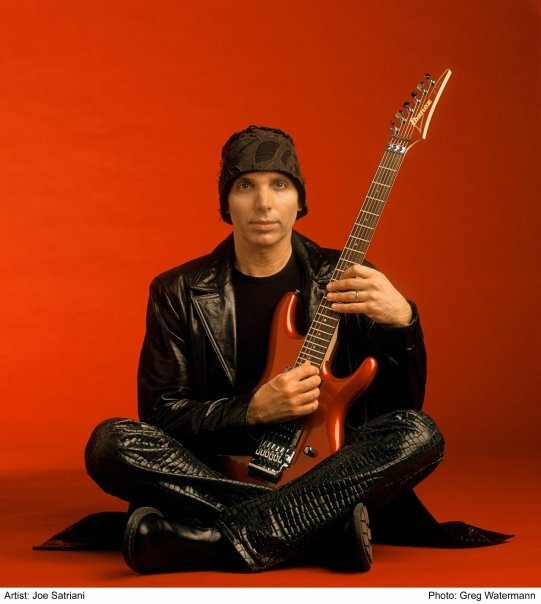 See you out there on tour..."
Satriani will kick off his 2013 tour in Istanbul, Turkey on May 18; European dates are currently scheduled to mid-July. Check out the full list of Satriani live dates here.